“I’m sorry, sweetheart these are tumors in your lungs and a form of lung cancer”. These were the words spoken to a vibrant, healthy 36-year-old female on October 19, 2017, by the thoracic surgeon. I knew that things were probably not good when he came in and asked if I was alone. Unfortunately, I was alone. Looking back, that day seems like a blur. I remember the ladies at the checkout desk asking how I was doing as they ask so many patients all day long. It’s mere customer service, right? I never made eye contact and mustered enough energy to say the word “fine”. I was far from fine, but I just wanted to get out of there. I never cried in the doctor’s office that day, but walking down that winding hallway and through the parking lot felt like I was carrying cinder blocks for shoes around my feet. The minute I got in my car and closed the door was the moment that I completely lost myself. I have cancer. I am going to die. My parents are going to have to bury their only child. My world felt like it had crashed. The days and weeks ahead were just amazing considering my new circumstances. People loved on me like I had never been loved on before. I received cards and texts and all sorts of support, but a part of me wanted to tell them that I was still the same person and I appreciated the cards of support, but that I wasn’t dead yet. Please hold the flowers too. My lung cancer diagnosis was a complete shock as it is to so many. However, I was asymptomatic and cancer was the last thing on my brain. I was hospitalized for a Bartholin Cyst. I had my yearly exam already scheduled with my OB/GYN and this exam was far from routine. I explained to the nurse that I was in pain and was running temperatures between 101-103⁰. I visited the local emergency room twice to attempt to acquire some relief and was incorrectly diagnosed. My OB/GYN admitted me to get antibiotics started quickly and mentioned a minor surgery, but before I went to the hospital, he wanted me to have a CT of my abdomen to identify the cyst prior to any procedure. Thankfully, the tech caught just the lower portion of my lungs on that scan and the radiologist noted lung nodules. When I went back to my OB/GYN for my check up, he mentioned the lung nodules and ordered a full chest scan. He informed me that people had benign nodules and they could be there from my severe infection, but that he wanted to just make sure that it wasn’t anything. The next day he called me to inform that the nodules were still there and he would like for me to see a Pulmonary Specialist. I agreed and the Pulmonary Specialist was very concerned about the number of nodules in my lungs which were over 100 scattered across both lungs. He conducted a bronchoscope and a needle biopsy for which both were non-diagnostic and I was then punted to the Thoracic Surgeon. The Thoracic Surgeon removed three wedge sections and sent the pathology off to Mayo Clinic in Arizona. After further molecular testing, my oncologist educated me on the different mutations and the path of treatment that would be taken for each of them. It was determined that I was Stage IV due to both lungs being involved and was positive for T790M. I began Tagrisso as a first line on November 11, 2017. After 6 months on this drug, my last scans read “barely perceptible”. I will keep taking Tagrisso until resistance occurs and hopefully there will be another inhibitor to take its place. When I was first diagnosed, I would literally wake up in the night in a panic. I couldn’t sleep, eat or function normally. I started browsing the internet for support groups and pages as well as social media. 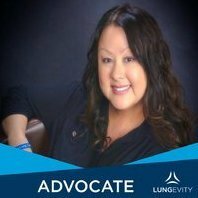 I found the LUNGevity private patient groups on Facebook and asked to be added to every single one of them. I began telling my story and people started responding to me and sharing their stories. Strangers were sending me encouraging private messages. I saw people living and thriving with an incurable, life-shortening disease. I found hope. I started sleeping and not crying so much. Finding those support groups really made the initial journey a bit easier. Although we were strangers, we were brought together by a common bond. I’ve since been able to meet some of those people in person through the HOPE Summit and my “family” has grown by leaps and bounds. I would have never met these incredible people without lung cancer. 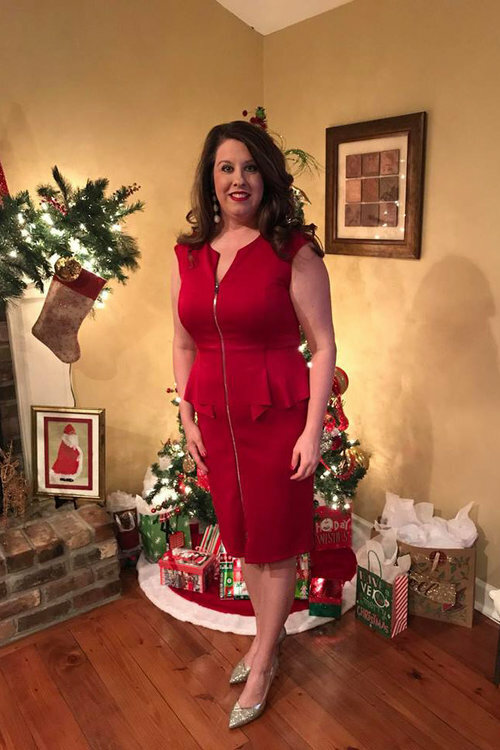 Receiving a lung cancer diagnosis is not something any of us would have willingly signed up for, but I am thankful that I was able to find out before it spread all over my body and treatment options were expunged. I am also thankful for the perspective shift. I now know what it means to live each day with intent. The days of merely existing are over. It’s time to live and love life to the fullest because I now understand the value of each day that I am given. I’m am so happy they caught your cancer in time. I’m am new to this site and am not sure if you responded to my comment or not. Did you? So I know how to respond.